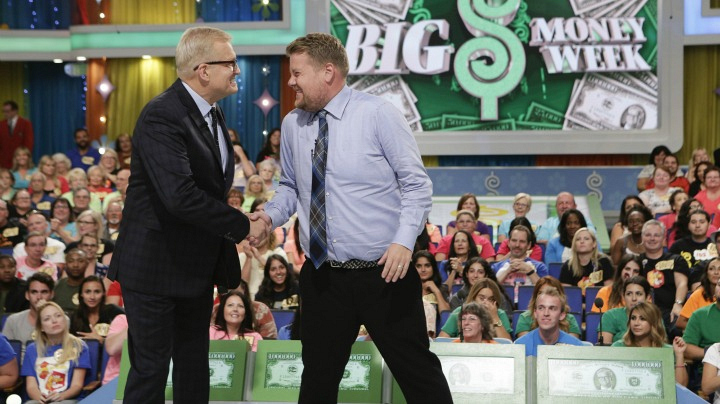 James Corden helps kick off #BigMoneyWeek on The Price Is Right! Everything's bigger on The Price Is Right's Big Money Week—including the laughs. The Late Late Show's James Corden visited TPIR on Monday, Oct. 12, as a guest model to help Drew Carey launch into one of the flashiest weeks of the year, giving contestants the chance to win up to 4 million dollars in cash and prizes!